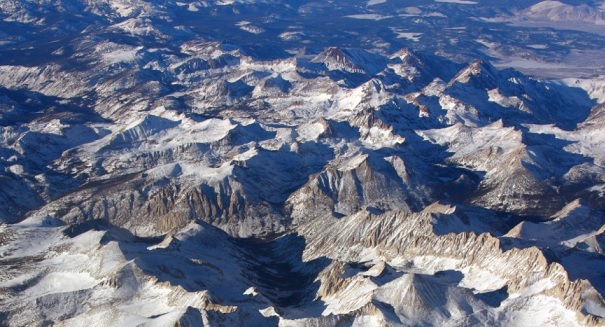 Scientists have found that the Sierra Nevada mountains in California are now a full inch taller because of the drought. The epic California drought will not soon be forgotten in the state, and it had one surprising effect on the Sierra Nevada mountains, as scientists discovered it made them a full inch taller. The 2011-2014 drought apparently boosted the mountains by 2.5 centimeters because of the high water loss, although they have sunk a little bit since then. And the mountains could continue to grow more over the coming decades as the drying trend is expected to continue in the area. Scientists based their findings on 1,300 GPS micro-stations that track movement in the tectonic plates, and in faults and volcanoes along the west coast of the United States. Scientists took a deep dive into this data and figured out that water in the cracks was responsible for this strange increase in height. As the water returned to the cracks, the mountains are not quite as high but are still a half inch taller than they were before the drought began.